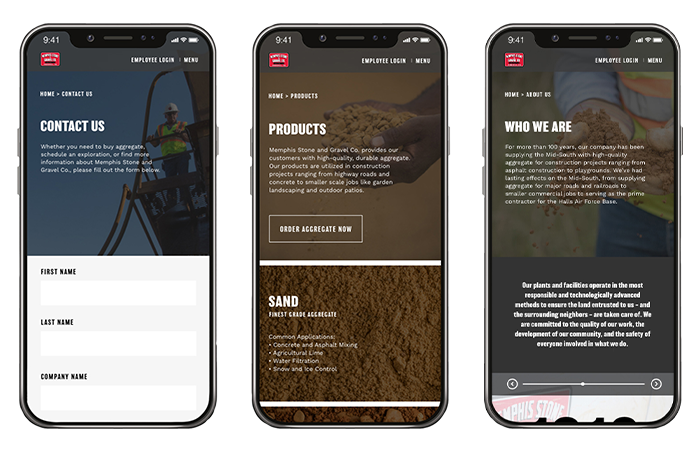 After its sister company’s successful site redesign, Memphis Stone & Gravel Co. wanted to update their website to make it more user-friendly and bring it in line with its family of brands. First, the inferno team did a full audit of the existing website to look for opportunities to consolidate information and improve the site beyond design. 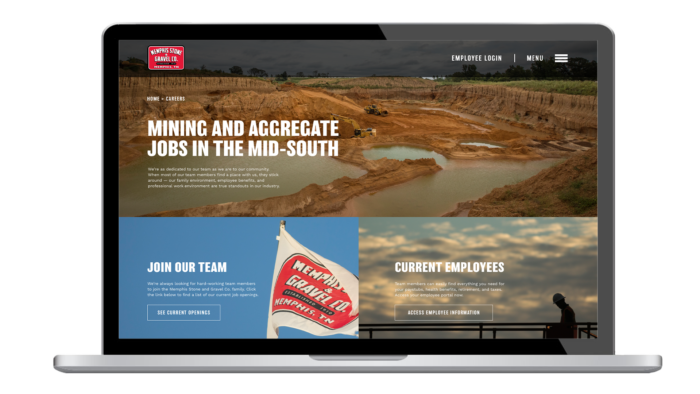 Where the Lehman-Roberts Co. website existed to serve employees and community members, the Memphis Stone & Gravel Co. website needed to emphasize product offerings. The design uses beautiful imagery and styling similar to lehmanroberts.com, showing that the two companies are closely related. The new site, however, demonstrates the variety of aggregate materials the company offers and provides an in-depth look at how it conserves and improves natural habitats when mining for materials. Take a look at the updated Memphis Stone & Gravel Co. website and see how inferno is helping this family of brands develop a consistent style that highlights the strength of each company.